The Golden Gate Frogman Swim (sister swim to the Tampa Bay Frogman Swim) is a two mile open water swim and fundraiser that benefits the Navy SEAL Foundation (NSF), a 501(c)(3) with a coveted four star rating by Charity Navigator. The Navy SEAL Foundation supports wounded and fallen Navy SEALs, NSW Support Personnel and their families. Registration will open March 4 at 7am PST in honor of Neil Roberts (SEAL) and the heroes of Operation Anaconda. There are absolutely no refunds for this event as this event is a fundraiser with 100% of the proceeds going to the Navy SEAL Foundation. 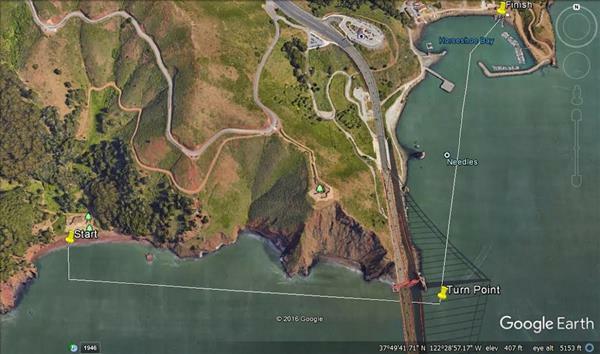 How was The Golden Gate Frogman Swim?